Remember when I said I don’t want to buy anything at Marshall’s because I’d rather buy fabric? (You can see that post about my stash here). Well I found a solution: now I pass right by the rows of cute little tops and dresses and shoes and head straight for the men’s clearance rack. You see, I realized that Marshall’s sells fabric right there! Of course it’s not just Marshall’s: it’s the back of your husband’s closet, your parent’s basement, the local thrift store. Perfectly good 100% cotton fabric in every color of the rainbow. I really must give some credit for this idea to Sarah Fielke. The quilt on the cover of her latest book, Hand Quilted with Love, is made with cast offs from a shirt maker who happens to be her neighbor. Yup, that’s right: her neighbor just stopped by with huge bags of free fabric. I spent some time feeling jealous but then I decided to take action. I started collecting shirts from the men in my life as well as the local thrift stores. 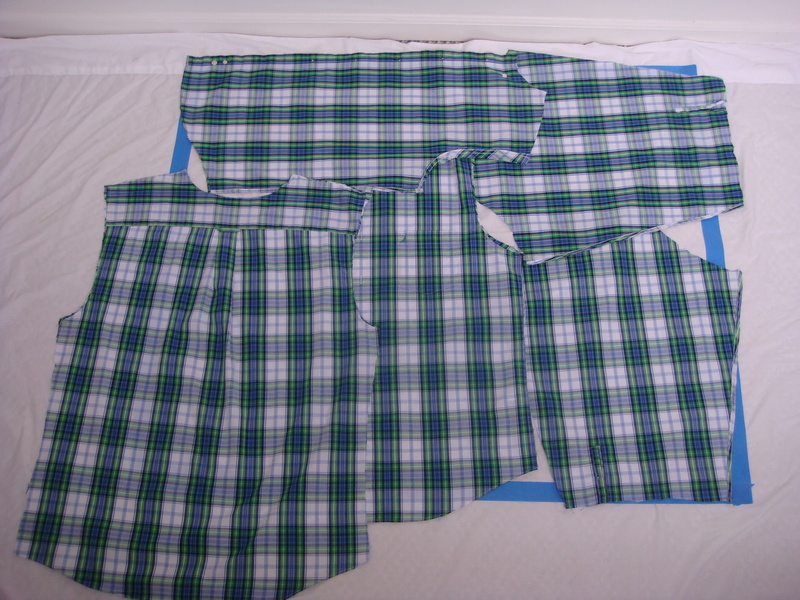 I check the labels carefully to be sure they are 100% cotton because many of them contain polyester. If it says “wrinkle free” you can skip it because those are all poly blends. Once I had a pretty big stack and a little more direction about color, I bought just 2 from the TJ Maxx clearance rack. These were a bit of a splurge ($12 and $15) compared to the others but worth it to round out my color scheme. You might be wondering how much fabric comes from one men’s shirt. Is it even a good deal? Here’s what an XL long sleeve shirt looks like all cut up and laid on a 36 by 44 inch area marked with blue painter’s tape. I removed the sleeve bands and collar but the buttons and pocket are still there. I think it’s fair to say that you can get at least a yard of usable fabric from this shirt. Obviously long sleeves are better than short sleeves and bigger is better. I found a XXXL shirt at TJ’s that would have been amazing if only it was the right color! Just the back of it alone looked like a full yard. 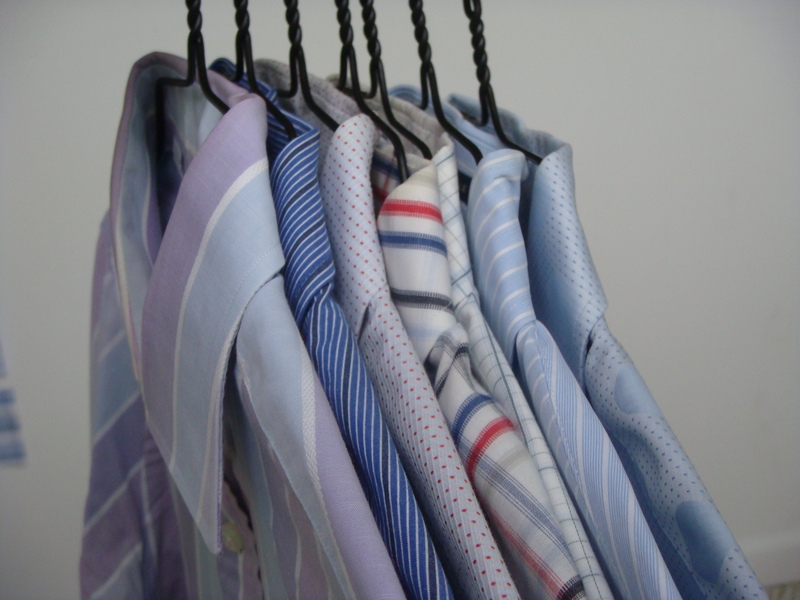 Now, personally I am keeping my shirt collection separate from my stash. I do not pre-wash my fabric but these are an exception since most of them are used. If I did want to work in some fabrics from my stash I would wash it first so that everything is equally pre-shrunk. 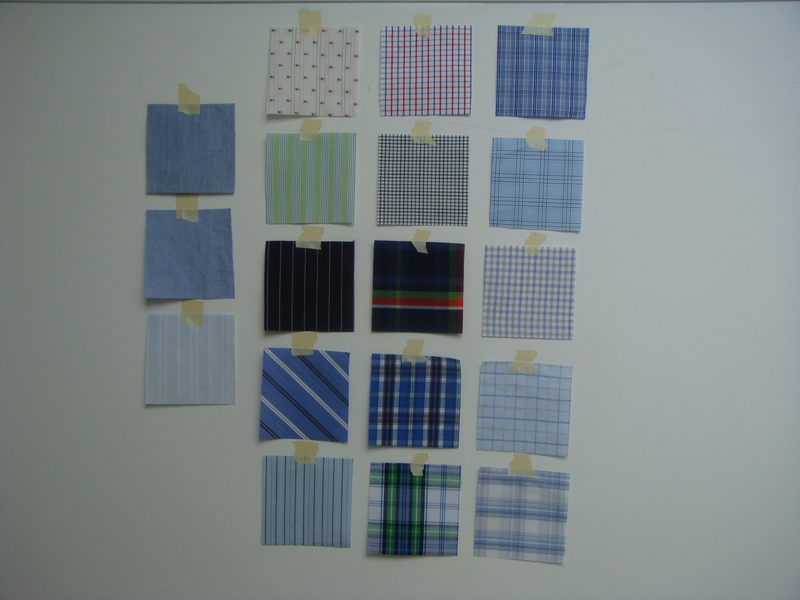 What quilts will I make with these beautiful shirt fabrics? The picture on the left is the Marcelle Medallion from Liberty Love. 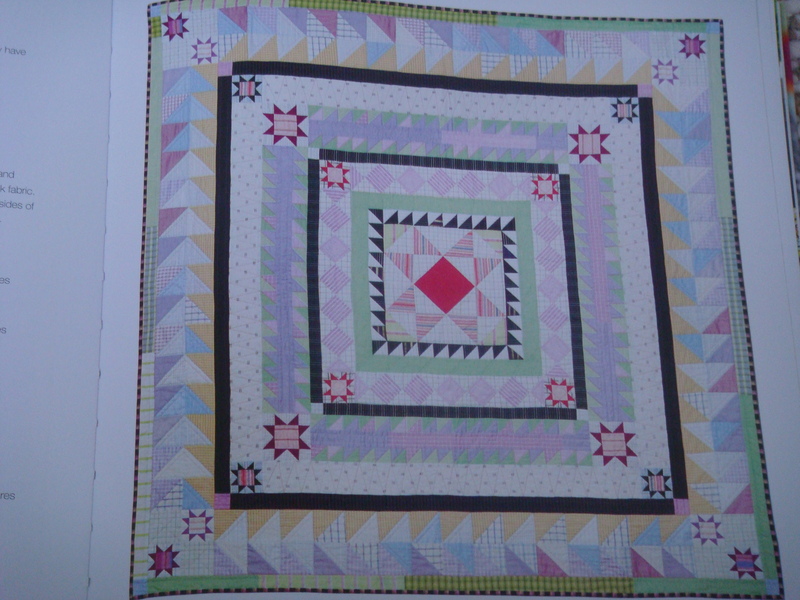 On the right is Sarah Fielke’s shirt quilt from Hand Quilted with Love. I’ve been wanting to try both of these quilts for a while and I think the shirt fabric is perfect. Since these are both medallion-style quilts (one central block surrounded by multiple borders) and they’ll both be made with the same fabric I think they are likely to end up on my boys’ bunk beds. It’ll be an epic challenge but I’m giving myself permission to take my time on this one. This entry was posted in Uncategorized and tagged Stash, WIP. Bookmark the permalink. um. love this. especially your thoughts on your husband’s shirts! 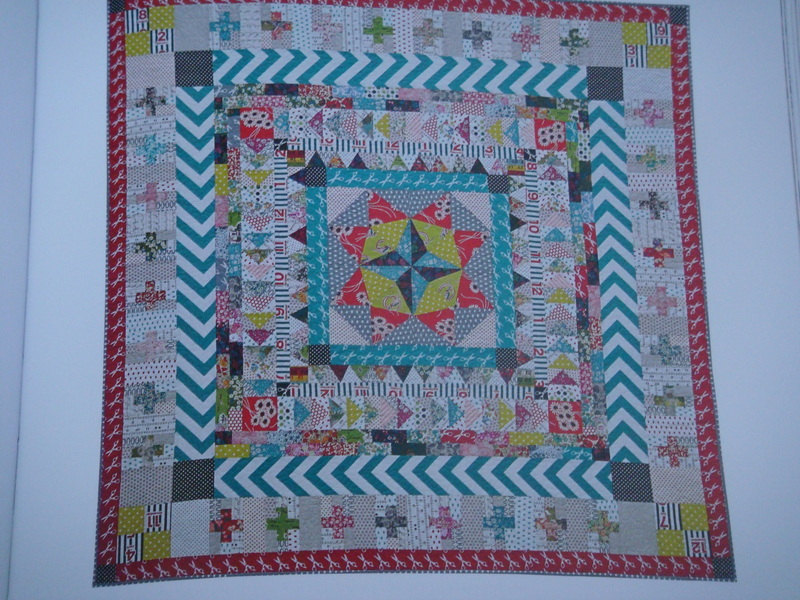 this is such a great idea, and it would make such a cute quilt. i’ve already started collecting ties, now i need to collect shirts from the men in my life! LOL – I’m not buying a shirt for more than a dollar and a dollar a bag sounds even better, however the concept is grand, Sarah. Repurposing is fun and green.